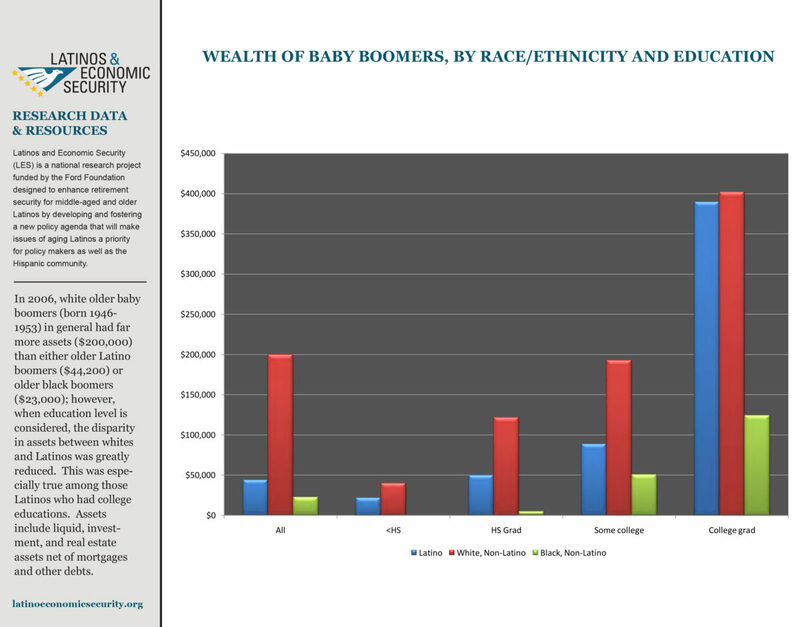 In 2006, white older baby boomers (born 1946-1953) in general had far more assets ($200,000) than either older Latino boomers ($44,200) or older black boomers ($23,000); however, when education level is considered, the disparity in assets between whites and Latinos was greatly reduced. This was especially true among those Latinos who had college educations. Assets include liquid, investment, and real estate assets net of mortgages and other debts.